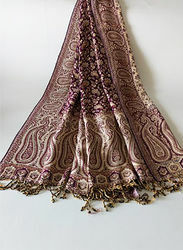 Elegant Maroon coloured shawl with Paisley border. Perfect for traditional functions and evenings. It can be worn from both sides.